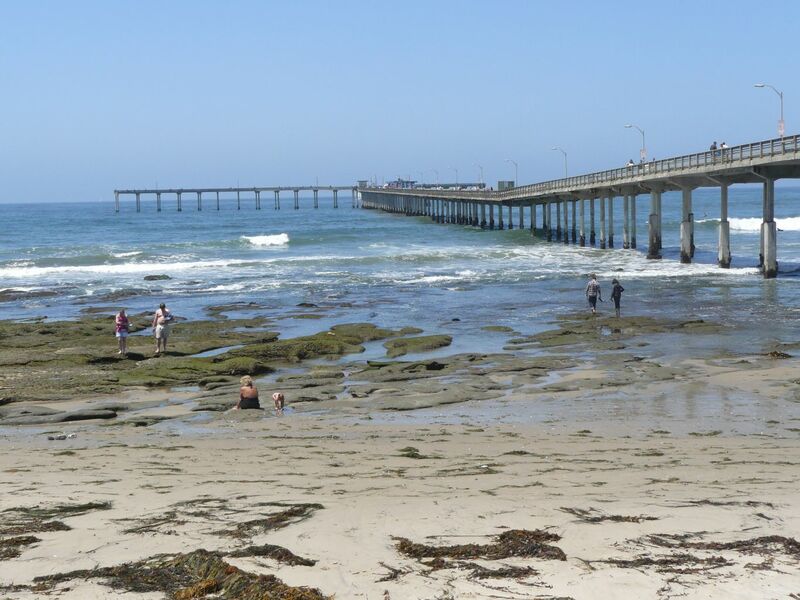 Unlike Imperial’s classic wood structure, Ocean Beach Pier is a concrete pier. In fact, at 1,971 feet it is believed to be the longest concrete pier in the world with a full mile of rails space. 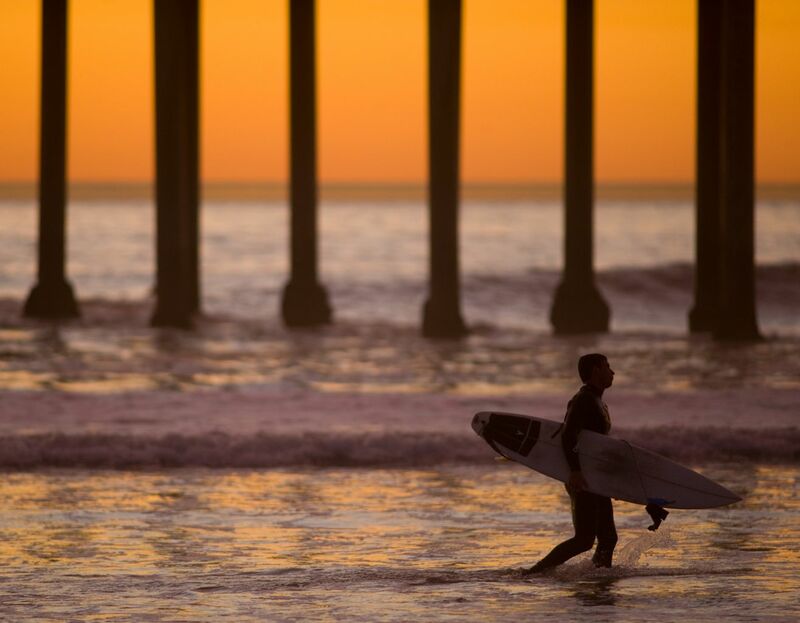 Unlike other California piers, the OB pier was built on a brand new location in 1966. Much like nearby Imperial, the waves are good and legendary Duke Kahanamoku surfed here. Ocean Beach Pier Cafe offers indoor and outdoor seating with ocean and harbor views. They serve sandwiches, salads, fish and soft drinks, coffee and cocoa that you can purchase at a take-out window. The pier contains numerous benches to sit and relax and watch forever views of the ocean, bay and Point Loma peninsula. The main street of business is Newport Avenue which has antique stores, restaurants, head shops, tattoo and piercing shops, coffee houses, bars, bike and surf shops, and an international youth hostel.